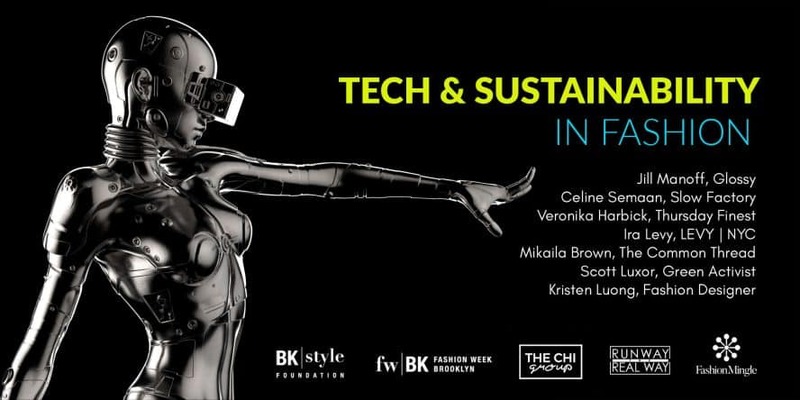 Livestream panel discussion on the intersection of tech and sustainability in fashion. The program is a part of Fashion Week Brooklyn and produced by BK Style Foundation , The Chi Group and Fashion Mingle. Jill Manoff is the editor-in-chief of Glossy, which explores the transformation of the fashion, luxury, beauty and retail industries through the lens of digital and technology. She oversees the editorial content and growth strategy of the media brand, launched in May 2016. Manoff has also worked for Mode Media the editor of Glam.com, as well as an editor of searsStyle and head copywriter inSears’ apparel division. She started her career in St. Louis as the fashion editor of Alive magazine, the fashion director and co-founder of Saint Louis Fashion Week, and a freelance fashion stylist, working for brands including Anheuser-Busch and Caleres. Designer, Advocate, Speaker, Writer, Founder of The Library and Slow Factory. Céline coined the term #fashionactivism and focused on her work and research as an MIT Director’s Fellow on culture, consumer behavior, sustainability and politics. She is a contributing writer to The Cut, Refinery 29, Teen Vogue, and Huffington Post. Veronika Harbick lives at the forefront of technology. 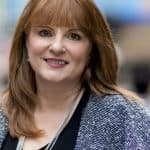 Earliest experiences creating video content at NBC evolved into pioneering the very first digital media campaigns for Fortune 500 brands and ultimately her latest role as an entrepreneur. Today she is the CEO and Co-Founder of Thursday Finest, a game-changing fashion technology startup using 3D-knitting to re-invent the apparel industry from the ground up. Ira Levy fell in love with events nearly 40 years ago and hasn’t looked back since. His career in events gave him a front-row seat to imagine what could be possible when you push the boundaries of a live experience. It is that precision and vision that helped him create something truly remarkable, LEVY | NYC. Ira built LEVY | NYC on the principles of innovation, technology and, architecture; and has been applied to every project we accept. Mikaila Brown is the founder and CEO of The Common Thread Project, a company that practices applied, fashion anthropology. Founded in 2015, The Common Thread Project takes an anthropological approach to unpacking the historical, cultural, and political roots behind why local communities wear what they wear. Her company works with local fashion artisans (i.e., designers, boutique owners and stylists) to help them to better provide design options that are as cultural sensitive as they as are consumable. Scott Luxor is a Green activist who believes that ecology is a trend that encompasses everything we do in life. It’s not just about recycling, but it is the paradigm that will define our Next Society. Scott was the Director of the NYC Green Festival in 2017 at the Jacob Javits Center that drew about 20,000 attendees. The Green Festival signed on more than 200 Green Businesses as well as dozens of eco-nonprofits and showcased a successful Sustainable Fashion Show as one of the main focuses of the event. importantly biodegradable and made in New York City, NY, USA.